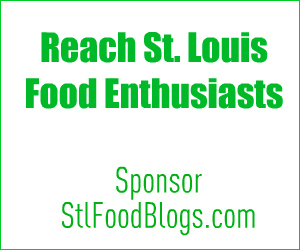 Please welcome John Griffin, author of the new St. Louis food blog, Kitchen Riffs. Kitchen Riffs is both the name of a blog and the nom de plume of its author, John Griffin. Although John is not originally from St. Louis, he spent many of his formative years here (McCluer, class of 1969, to answer the perennial St. Louis question). He moved away after college and returned recently. He and his wife have lived all over the country, but spent considerable time in the New York City area and in Tampa, Florida. He worked for many years in publishing, primarily in college and professional books. Kitchen Riffs is an outgrowth of John’s fascination with food. He’s an eater from way back (“from birth, to be precise”). Because he wanted to learn how to cook the wide variety of foods he read about or sampled in restaurants, he started messing about in the kitchen. In time, he not only developed decent cooking skills, he learned how to change or adapt – riff – recipes to his personal taste. This riffing frequently led to entirely new recipes. John’s goals have always been straightforward: Food should be easy to prepare. But most of all, it should taste good. Thus flavor is the theme of Kitchen Riffs: What is it? Where is it? How to achieve it? How to enjoy it? 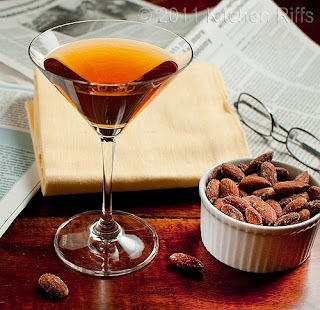 No food-related subject – from aperitifs to soup to nuts – is off topic for Kitchen Riffs. But the underlying principle is to discover and discuss what makes a recipe tick, what makes it flavorful. Sometimes that means recognizing what the cook doesn’t know yet, but needs to learn in order to cook (and eat) better. The idea is to find out what is important in cooking, and why. And above all, to discover which foods and recipes make our tongues happy.